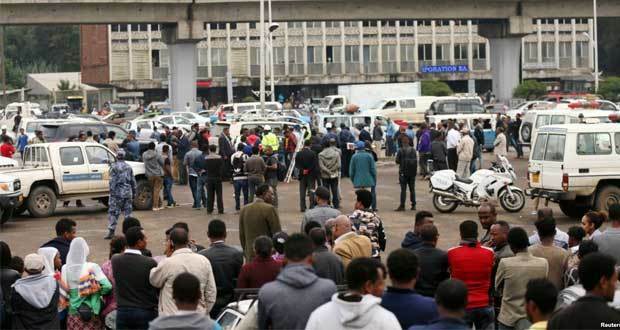 ADDIS ABABA (Reuters) — Hundreds of Ethiopians demanded justice on Friday for the head of a $4 billion dam project shot dead in an apparent killing that could prove a political problem for the government of Prime Minister Abiy Ahmed. The Grand Renaissance Dam on the River Nile is the centerpiece of the country’s bid to become Africa’s biggest power exporter. The government has touted the project as a symbol of its ability to move the country forward. Simegnew Bekele, the public face of the project, was found dead in his vehicle on Thursday in the central square of the capital with a gunshot wound to the head, sparking immediate protests. Police have launched an investigation and made no further comment on Friday. Another resident said shots were fired during protests on Thursday evening and civil servants are on strike. The 6,000-megawatt dam project is half finished and the government has previously said it would be completed within two years, but recently said it may face a lengthy delay.